Sometimes you need to rent a car in one location and return it in another. That’s called a one-way car rental. For example, you may pick up a car in Dallas but drop it off in New York, without driving it back to Dallas. 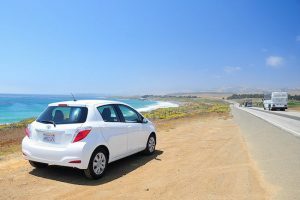 There are two types of one-way car rentals: domestic (within the same country) and international (between two different countries). 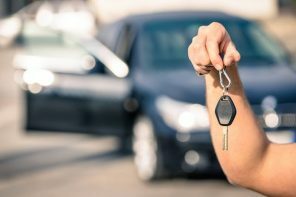 Renting a car for just one direction can be confusing and has a notorious reputation of costing more, with varying surcharges between different rental car companies and sometimes even within the same company. Here’s a guide to help you navigate the one-way car rental process and save some money, too. Why Get a One-Way Rental? There are various reasons that someone might need a car for one direction. If your flight is delayed but you need to get somewhere immediately, a one-way rental may be a good solution. Or maybe you have been on a long trip and collected a bunch of souvenirs, or you are moving to a new city but don’t have a car or enough stuff to rent a full moving van. One-way rentals are common among college students. In fact, one-way rentals are pretty common, and experts say they are increasing in popularity. How to Book a One-Way Rental? Booking a one-way rental is generally the same as booking a car. On most sites, you select the option to return to a different location. If you can’t find this option on the website you want to use, call the company and book it on the phone. 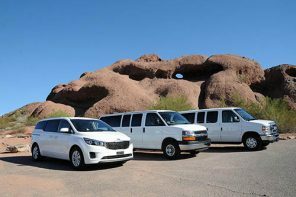 The biggest problem with one-way rentals is they can be expensive, if you don’t know these tips and tricks to save you money. Check prices for different locations. Often it can cost more to pick up and drop off at the airport. Try a rental car spot away from the busy airport. Also experiment with different times and days of the week, if possible. Look for quotes without “drop charges.” Not all companies charge extra for a one-way rental. These drop-off charges are where you get dinged. 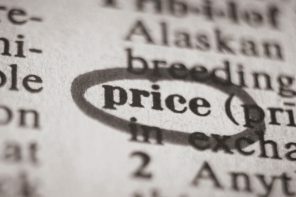 Search a travel website that scans and compares the prices of multiple rental car companies, rather than price-checking from company to company yourself. Use coupons. Many companies have coupon codes that can save you money. Also look for websites that offer cash back, which you can stack on top of the coupons for added savings. Look for deals. You can sometimes find deals specifically for one-way rentals. Pay in advance online, if you know your plans aren’t going to change. Many major rental car companies will give you a discount if you pre-pay when you reserve instead of when you return. Heed the ebb and flow of supply and demand. If you rent during a busier time of week or year, the prices will typically be higher. Try to rent when fewer people will need cars. Also follow the flow of vehicles. There tends to be a higher demand for cars in the southern states during colder weather, when more people are visiting the warmer regions. If you happen to be driving southward when the demand down south is high, you could land a great deal; the rental car company wants to get more cars to the popular places. Who knows? You may even land a super cheap convertible, which tend to be in high demand in warmer cities in the winter. On the flip side, these cars may already be there and next to impossible to find anywhere else, depending on your timing. Along those lines, experiment with different types of vehicles. Again, always think about supply and demand. Certain cars may have higher demand in certain areas. Taking a four-wheel drive vehicle away from Colorado and into New York City, for example, may end up costing you much more than driving a standard sedan. Colorado needs the four-wheel drive, but NYC probably doesn’t have a high demand. Ask about loyalty programs. Some companies allow you to earn points for your one-way rentals. It’s always worth it to sign up for a loyalty program when renting cars. Beware of limitations. Some companies won’t allow one-way trips at all between countries or during busy periods. For example, you can’t get a one-way rental between the United States and Mexico. You may be able to get a one-way rental between the United States and Canada. It’s much easier in Europe.